The Joyful Boutonniere is a beautiful and bright way to celebrate your wedding day. A single orange rose is accented with lily grass blades and lush greens tied together with a silver metallic wire to give your groomsmen that complete look of wedding day charm. This beautiful bouquet in sweet pastel shades has an unmatched charm and grace that will perfectly complement your wedding day. Pale pink and pale peach roses are brought together with pink bouvardia, peach spray roses, pink mini carnations, pink hyacinth and seeded eucalyptus. The flowers are accented with peach satin ribbon tied in "love". The Peach Waterfall Bouquet has an exquisite style that is both sophisticated and modern. Peach roses take centrestage to this tear drop shaped arrangement, as they are surrounded by peach and orange carnations, peach spray roses and gold mokara orchids. Accented with lily grass blades and seated in a gold metallic wire collar accented with ivory pearls. The stunning peaches is a collection of wedding flower arrangements in lovely pastel and peachy tones, ideal for someone who is looking for something a little different to the traditional whites usually associated with weddings. You are able to browse through this collection online to get a taster for the sort of work the Aberdeen Florists will provide you with. When it comes to arranging and organising wedding flowers, we highly recommend booking a consultation. This enables you to discuss your ideas, options, costs and other details face to face with the florist who will be coordinating your wedding flowers. We also have an instore catalogue so you are able to browse through that as well for more inspiration. If there isn’t anything online that is fully to your liking, don’t worry as we offer the bespoke service. This service enables you to do several things. First, you can tweak elements of pre-existing arrangements you have seen and change things like colours or flowers. Second, you can create something completely unique by specifying all the details yourself and the Aberdeen Florists can offer guidance on whether the combination will work. Or, alternatively, you can leave all the details up to the florist and they will arrange something absolutely beautiful for you using their experience. 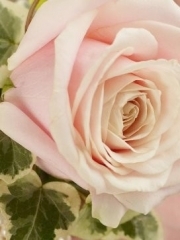 Aberdeen Flowers have over forty years of experience in the floristry industry under our belt meaning that no matter what it is you’re after, we have you covered. For further details or to book a consultation, please do not hesitate to get in touch with us. You are able to contact us either by phone or email or you can even pop by our shop as there is always a staff member available to answer any of your questions. We understand that organising wedding flowers can be a very stressful, especially when there are other things to consider like catering and seating plans which is why Aberdeen Flowers will take care of everything on your behalf. Once your order is placed, we will organise everything for you and deliver your flowers on the special day to the desired location. All the flowers the florists work with are of premium quality as we receive several deliveries per week from our Dutch suppliers. Not only are the flowers of premium quality, but we are also provided with an abundant selection of different varieties of flowers. 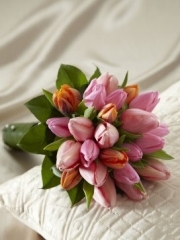 For weddings, we order flowers in especially to ensure we fulfil all of your floral requests. When it comes to wedding flowers, there is a lot to consider. For example, whether you want floral decorations for the venue or not; what buttonholes and corsages the groomsmen and bridesmaids are to wear; bridal bouquets and so on. For corsages, the Aberdeen Florists can arrange either a wrist corsage or a magnet corsage. The wrist corsages typically use ribbon, however, we also have pearl or diamante bracelets. Alternatively, the magnet corsages can be pinned to a bag or a dress depending on personal preference. For men’s buttonholes, we recommend using a thistle as this flower is quite tough and long lasting. 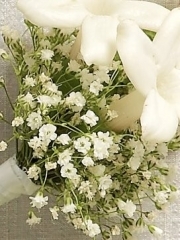 In regards to the floral decorations for the venue, we can arrange whatever it is you desire. Customer satisfaction is our number one priority so no matter what it is you’re after, the team here at Aberdeen Flowers will always do our absolute best to make sure your wedding flowers are nothing short of perfection.